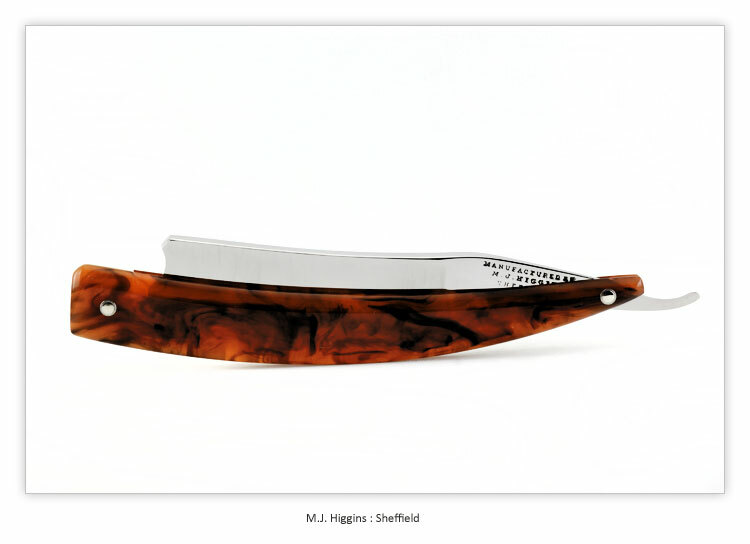 Vintage Straight Razors offers a Customised Vintage Straight Razor - M.J. Higgins - Sheffield, - 7/8 - 1/4 Hollow w/Faux Tortoise scales. 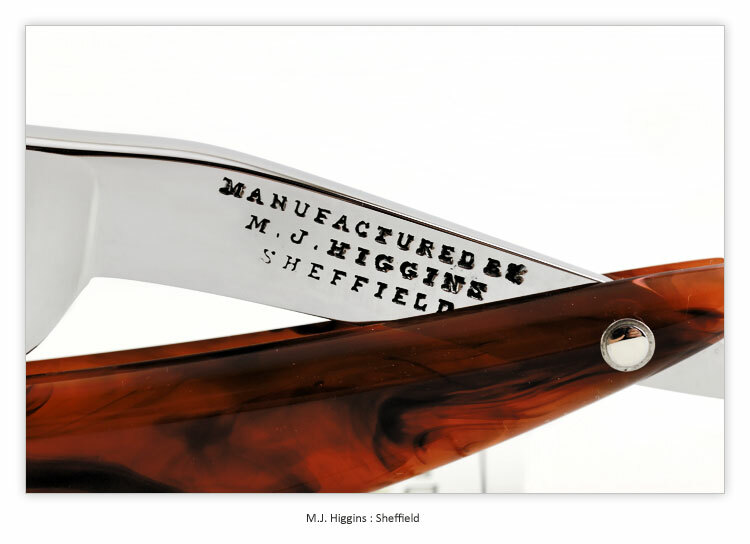 This is a very old vintage straight razor M.J. Higgins from Sheffield. 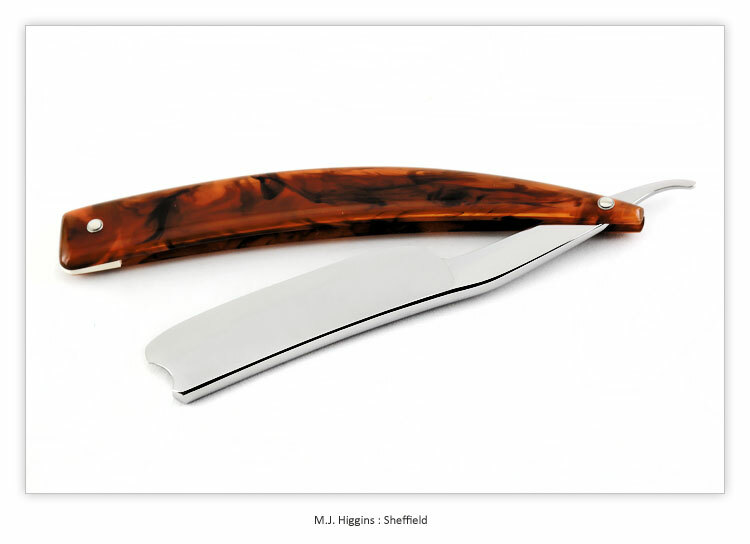 Looking at the way the razor was ground and the shorter stubby style monkey tail we can place this razor somewhere around the mid 1800's. The scales are Faux Tortoise tapered with a genuine pre-ban ivory wedge. This is a higher grade acrylic with superb optical clarity, excellent resisting to natural aging and heat resistance. 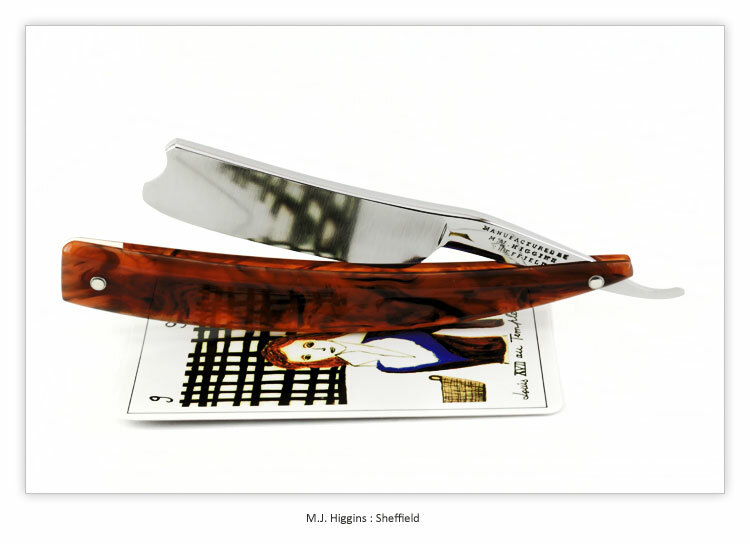 Razor was completely and professionally restored, re-ground, keeping the original grind as close as possible. 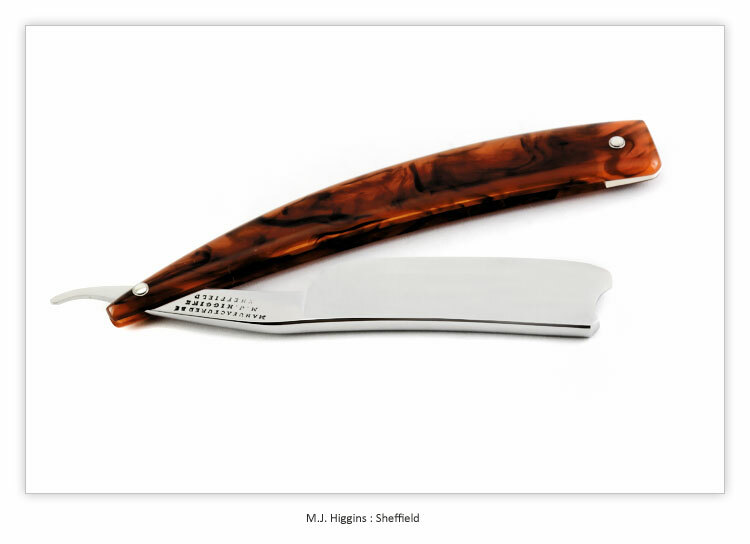 The razor looks stunning and practically like new. 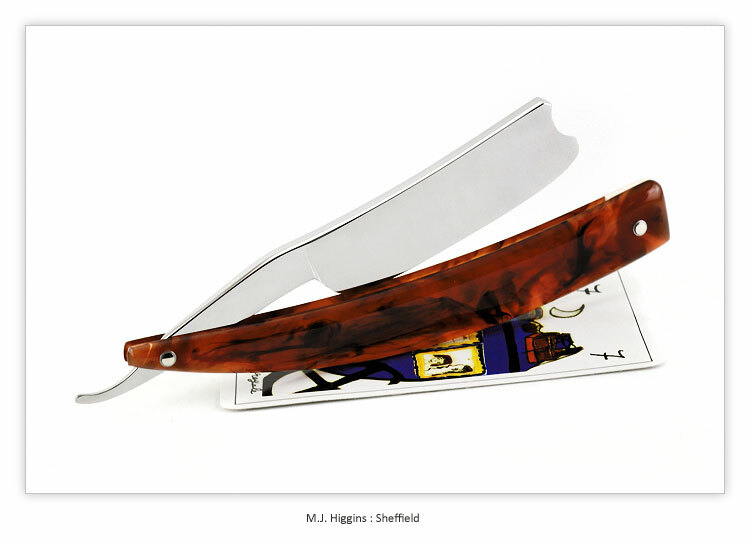 I would even dare to say, pristine, considering this razor is at least a 150 year old. 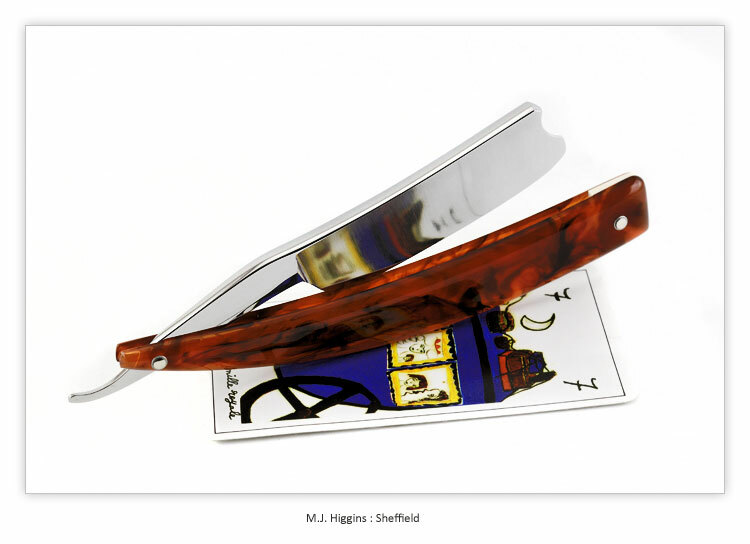 Total cutting edge: 2.85" - Smiling edge and spine. 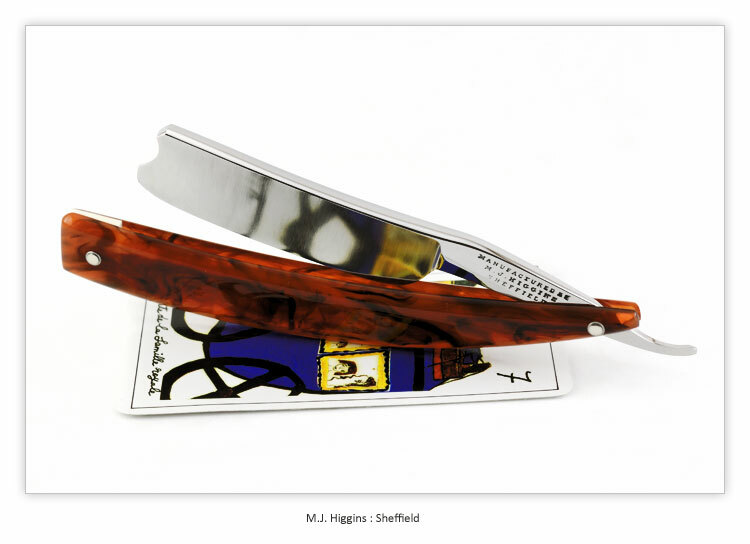 Gorgeous and rarel example of a M.J. Higgins.